As much of the United States is seeing snow and feeling chilly winds, there's a great new soundtrack to listen to this time of year. 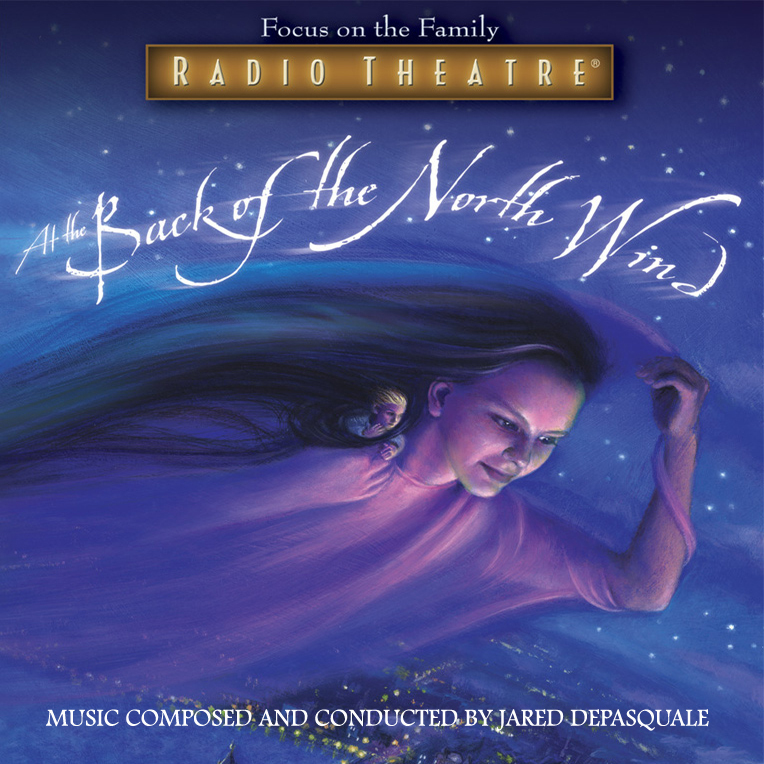 Focus on the Family has recently released the original score for FOTF Radio Theatre's At the Back of the North Wind. This amazing score composed by the uber-talented Jared DePasquale is now available to be listened to and appreciated independently of the audio drama. The music from the drama was composed, conducted, and orchestrated by Jared DePasquale. The orchestra was recorded by Grammy-nominated engineer, Terry Christian at OceanWay Studios, Nashville, TN, in the winter of 2004 and mixed by Adam DePasquale at GAP Digital, Wheaton, IL. About the score for this production, Jared DePasquale had this to say: "As a kid, I absolutely loved the fantasy genre. I was a huge fan of all things Narnia and Lord of the Rings. When Dave Arnold called me in 2003 to tell me about the opportunity to score George MacDonald's At The Back of the North Wind, I was elated. This would be my first opportunity to write music for the fantasy genre, and I spent so much time thinking about 'the sound' I wanted to create. I tried to capture something that might have been from the Impressionist era, like something Debussy or Ravel may have written. I'm not sure I succeeded in that, but I found myself in new territory, growing by leaps and bounds as I tried to capture these very surreal scenes with The North Wind. Fourteen years later, I still find myself enjoying the score and really appreciating the mile marker that it became for my journey as a composer." DePasquale also said, "What made this project really fun from a recording perspective was the fact that FOTF was going to release the product as a 5.1 surround mix. As a result, Terry recorded the orchestra in 5.1. There were so many room mics all over the studio so we could capture true back left, back right, front left, front, right, plus center. While the soundtrack release is stereo, we have mixes in our archives that are 5.1. To hear an orchestra in 5.1 is absolutely unbelievable." 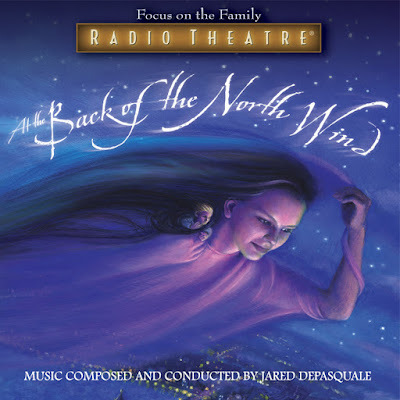 You can get your own copy of the At the Back of the North Wind soundtrack on Amazon and iTunes. You can also get a copy of the full audio drama itself from Amazon (MP3), Amazon (CD) and iTunes. Disclosure: This post contains affiliate links. Thanks for supporting ATC!